Terrain information is difficult to obtain due to cloud cover, these regions will become blind in remote sensing images, which led to the remote sensing images can not play its due value. So we need to use some detection technology to detect the cloud in remote sensing image to avoid a lot of useless images captured by the satellite wastes a large amount of storage space and transmission bandwidth. 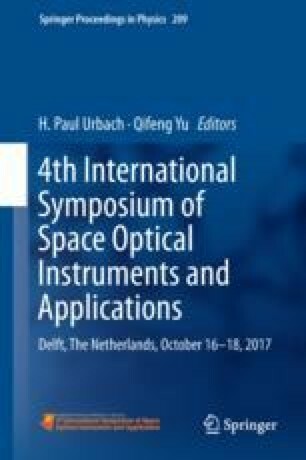 This paper relay on a delicate high-resolution earth observation satellite in synchronous orbit, combined the CNN with SVM for cloud detection, and finally designed a new algorithm which can be realized in remote sensing satellite video processing system to statistic the cloud coverage ratio in orbit. Firstly, the large image is cut into small pieces, which will be send into the algorithm module. The new algorithm uses the deep learning algorithm to automatically abstract the effective features, and after that SVM classifier is used to recognize the thick cloud. The CNN net is designed with a matlab toolbox Matconvnet, which is easy to use and provides many pre-trained model. The most important is that the CNN network is simple enough so that it can be realized in embedded system like Zynq platform. Final 1000 cloud subimages and 1000 no-cloud subimages are used as training dataset, and another 1000 cloud subimages and 1000 no-cloud subimages are used as testing dataset, and the illation labels are compared to the true labels, the result shows that this algorithm is much more accurate than traditional cloud detection such as threshold method or SVM. In the future, this new algorithm can be easily combined with dynamic partial reconfiguration of FPGA, then the algorithm codes can be upload from earth to the satellite and reconfigure the algorithm module in FPGA. So the satellite can advance with the times.